We have been selling wallpaper online since the year 1999 and we carry stock of over 4,000 different wallpaper patterns. On our site we have a selection of over 11,000 papers, for all of which we have samples available immediately. The wallpaperdirect team of 40 staff consists of customer service professionals, a sample team and warehouse staff. We despatch hundreds of parcels every week, and in the order of 40,000 samples per month. We are on hand to help you with your queries, so novice or professional you've found the right site. Wallpaperdirect is a trading name of C. Brewer & Sons Ltd. and is part of the BREWERS group of companies. 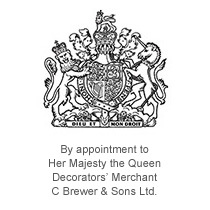 One of the country’s oldest decorators’ merchants, established in 1904, Brewers holds the Royal Warrant for the supply of decorating materials to The Queen. Still a family run business with more than 150 stores selling an extensive range of decorating materials, paint and wallpaper we have a wealth of advice and experience freely available. 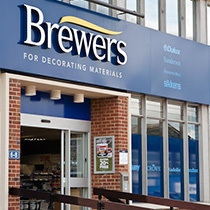 Visit www.brewers.co.uk to find your nearest branch.